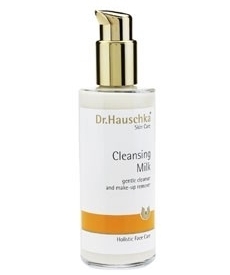 This is another winner from Dr Hauschka. It removes make up easily and you don't need a lot to do the whole face...including eye makeup. The smell isn't strong, infact it's nice and natural. I really enjoy using this and I actually look forward to removing the days make-up and other nasties. After use your face isn't oily or greasy, somehow it's just right. It really is lovely and worth every penny.